Jules Strongbow Scientific Trophy holder the entire time was in LA for Mike LaBell as the Hood. February 1976: John Lusk wrestled his first match in Bakersfield, California – a win vs. Mr. Mexico III..
January 1976 ? Summer 1976: Cowboy Johnny Mantell worked for Hollywood Wrestling as “Mr. USA” for Mike LaBell..
Summer 1976: Cowboy Johnny Mantell worked for Mid South Wrestling (LeRoy MrGirk & Bill Watts) in Louisiana..
~~~Wrestled in the Junior Heavyweight Division, doing 5 week-long tours, wrestling 5 to 7 times per week..
~~~Johnny Mantell was a Finalist in 3 of 5 tournaments for Jr. Heavyweight Title with New Japan Wrestling..
March 1978 – January 1979: Cowboy Johnny Mantell worked for Don Owens’ Northwest Sports in Portland, Oregon..
Johnny Mantell wrestled as ‘The Hood” in Los Angeles for Mike LaBell and had the year long undefeated streak..
~~~The undefeated streak was ended during a feud with Tom Prichard but The Hood was never unmasked..
Johnny Mantell left Los Angeles and went to work for his booking brother Ken Mantel in World Class..
the “Pride of Montague County, TX” moniker was given to him by Bill Mercer 1982 in World Class Championship Wrestling..
During this time, Johnny Mantell also worked for Paul Boesch in Houston and Joe Blanchard in San Antonio..
2001: Johnny Mantell now trains race horses on his ranch in Montague County, Texas..
November 12, 2005: Johnny Mantell was involved in an accident when his vehicle was slammed into by another car..
~~~Injured in a MVA when the SUV he was a passenger in was forced off the road, then rolled 6 times, where the left side of his head was “de-gloved” by Highway 287. Johnny was the owner/manager of the Lusk Ranch, which unfortunately burned in the North Texas Wildfires on April 9, 2009..
April 21, 1990 – 5 Star Wrestling TV: Johnny Mantell & The Hanging Judge defeated The Texas Knights (??? & ???). April 24, 1992 – GWF TV Taping: Johnny Mantel defeated Chaz. April 24, 1992 – GWF TV Taping: Eddie Gilbert, John Tatum & Rod Price defeated Angel Of Death, Barry Horowitz & Johnny Mantell. May 1, 1992 – GWF TV Taping: Johnny Mantell defeated Brian Henning. May 1, 1992 – GWF TV Taping: Johnny Mantel defeated Ed Robinson. January 29, 1993 – GWF TV Taping: Mike Davis defeated Johnny Mantel. April 30, 1993 – GWF TV Taping: Stevie Ray defeated Johnny Mantel to retain the heavyweight title. May 7, 1993 – GWF: Johnny Mantel defeated John Hawk. September 1, 1995 – CWA: Johnny Mantel defeated Jimmy James. September 8, 1995 – CWA: Johnny Mantell vs. Scott Putski ended in a draw. September 15, 1995 – CWA: Johnny Mantel defeated Doug Masters. September 22, 1995 – CWA: Scott Putski defeated Johnny Mantel. September 29, 1995 – CWA: Bill Irwin & Johnny Mantell defeated High Voltage (Bo Vegas & Devon Michaels). 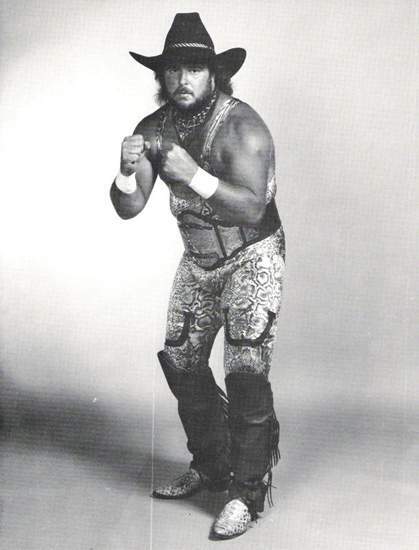 October 27, 1995 – CWA: Sam Houston defeated Johnny Mantel. November 3, 1995 – CWA: Johnny Mantel defeated Sam Houston. November 10, 1995 – CWA: Bill Irwin & Johnny Mantell defeated Bull Pain & Firebreaker Chip. November 17, 1995 – CWA: High Voltage (Bo Vegas & Devon Michaels) defeated Johnny Mantell & JR Ryder. November 24, 1995 – CWA: Johnny Mantel vs. Sam Houston ended in a no contest. December 15, 1995 – CWA: Scott Putski defeated Johnny Mantell by referee’s decision in the 1st round. December 22, 1995 – CWA: High Voltage (Bo Vegas & Devon Michaels) defeated Bill Irwin & Johnny Mantell to retain the tag team titles. January 12, 1996 – CWA: Johnny Mantell & Sam Houston defeated The Sicilian Stallions (Guido Falcone & Vito Mussolini). March 15, 1996 – CWA: Johnny Mantel defeated Bill Irwin. March 22, 1996 – CWA: Johnny Mantell defeated John Hawk by count-out. March 29, 1996 – CWA: Bobby Duncum Jr., Johnny Mantell & Sam Houston defeated Rod Price & The Sicilian Stallions (Guido Falcone & Vito Mussolini). April 19, 1996 – CWA: Johnny Mantel defeated Bill Irwin. April 26, 1996 – CWA: Johnny Mantel defeated Rod Price by disqualification. May 3, 1996 – CWA: Bill Irwin & Rod Price defeated Charlie Norris & Johnny Mantell. May 17, 1996 – CWA: High Voltage (Bo Vegas & Devon Michaels) & Johnny Mantell defeated The Sicilian Stallions (Guido Falcone & Vito Mussolini) & Tim Brooks. May 31, 1996 – CWA: The Sicilian Stallions (Guido Falcone & Vito Mussolini) defeated Bobby Duncum Jr. & Johnny Mantell to retain the tag team titles. June 7, 1996 – CWA TV Taping: Johnny Mantell defeated Treach Phillips Jr..
June 21, 1996 – CWA TV Taping: Johnny Mantell defeated Tony Colletti. June 21, 1996 – CWA TV Taping: Hector Guerrero & Johnny Mantell defeated Las Panteras Negras (??? & ???). July 12, 1996 – CWA: Bill Irwin & Scott Braddock defeated Johnny Mantell & Tony Colletti. July 19, 1996 – CWA TV Taping: High Voltage (Bo Vegas & Devon Michaels) & Johnny Mantell defeated Bill Irwin, Mike Blackheart & Scott Braddock. July 19, 1996 – CWA TV Taping: Johnny Mantell defeated Mike Blackheart. July 20, 1996 – NWA New Jersey: Lester Muhammad (Rasta The Voodoo Man) & Ralph Soto defeated Cousin Luke & Johnny Mantell. July 21, 1996 – NWA New Jersey: Johnny Mantel defeated Ace Darling. July 27, 1996 – CWA: Johnny Mantel defeated Larry Green.